Vatican is Practicing Child Sacrifice “Nothing, in this world, works the way you think it does.” -Jordan Maxwell Child sacrifice, trauma-based mind control. 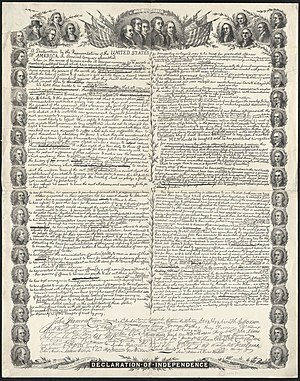 For the FIRST TIME IN HISTORY SIGN YOUR DECLARATION OF INDEPENDENCE! LET THEM KNOW YOU ARE FREE, YOU ARE AMERICAN AND YOU ARE THE BOSS! SIGN THE DECLARATION (Audio File by Teri Hinkle) DECLARATION OF INDEPENDENCE 2012 no preamble Sign the Full Document here… http://www.soldierhugs.com/sign-re-declaration-of-independence-2012/ Sign the petition that lets them know here: http://wh.gov/IIKC Full Audio of Declaration on YouTube (Entire Declaration Audible) Note: Be sure to sign BOTH the Full Document at Soldierhugs and the petition! THE QUESTION IS NOT ABOUT SOCIAL ISSUES, THE QUESTION IS, DO YOU BELIEVE YOURSELF FREE OR DO YOU WANT TO BE LED AROUND BY THE NOSE FOR THE REST OF YOUR LIFE? DO YOU WANT THAT FOR YOUR CHILDREN? Don’t hesitate to stand and speak for Freedom and Liberty. Since the installation of the Homeland Security Fusion Centers and the government takeover of Facebook they now know more about you than you do yourself! Let them know they have no right and they DO NOT OWN YOU! Stand with ALL AMERICANS and show them YOU ARE NOT A HUMAN RESOURCE FOR THEM TO BUY AND SELL!